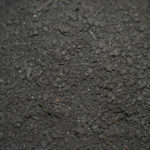 Made from medium sized material screened out of the fish compost. Renuable Resources LTD is the only company that offers this unique product. 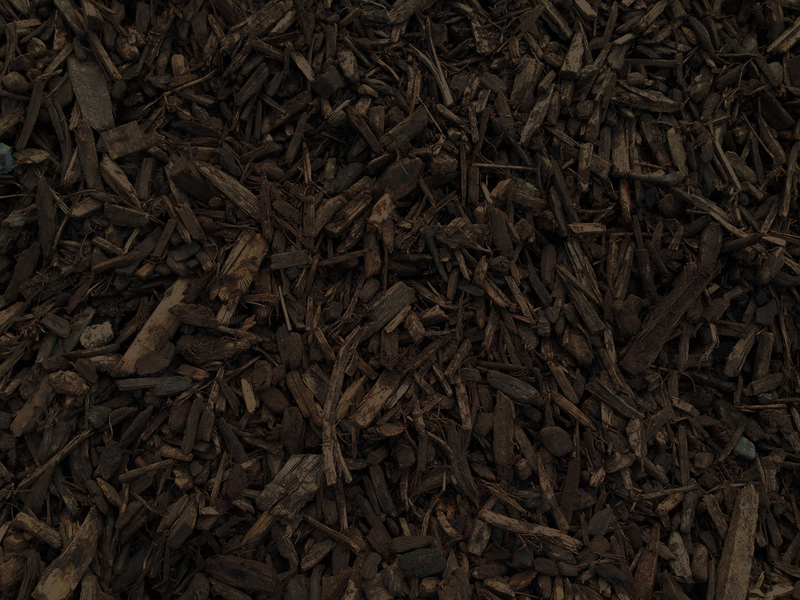 Fish & Chips mulch cover is the larger material screened and separated from our Aqua Mulch fish compost fertilizer. Fish & Chips cover material comes in two sizes from ¾” – 1” and the larger one from 1 ½” – 2 ½” size. 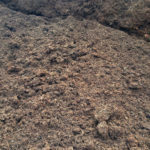 Both products are used for ground cover and weed control while offering some lingering nutrients from the fish composting process which will be absorbed by your plants with every water or rain. Fish & Chips are black in color and give you a nice uniform chunkier sized look which will last for years. 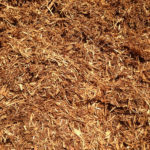 To refresh the look simply rake lightly and bring back the dark black color or top dress your garden beds with more the following year. It is black in color and 3/4″- 1 1/2″ in size. 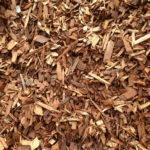 – Can be used to top-dress garden beds, around trees and shrubs. Will suppress weeds and also provide some nutrient value.